Rebuilding an Island | Does This Font Make Me Look Fat? This is the story of how an island is being rebuilt one “cell” at a time. On the photo below the “cells” are shown. The photo above and the following is from the Poplar Island website (http://www.menv.com/pages/outreach/poplar.html#) and used with permission. ” Poplar Island, located in Talbot County in the mid–Chesapeake Bay, has become a national model of environmental restoration. It is the site where an innovative solution for dredged material management is resulting in the restoration of a once vanishing island. My husband and I toured the island on Tuesday. We were worried that the extreme heat would be a problem and I had called ahead to find out that the boat to the island had an air-conditioned section and once on the island we would be in an air-conditioned bus. We sat outside on the boat ride and inside on the way back. Despite a very hot, humid day we were comfortable. We had been to the island about six years ago. And I had been about three before that. Every time we go, the island has grown and changed. This fall the final 575 acre expansion will begin. From 5 acres to 1715 acres is truly impressive. We saw lots of birds, brown pelicans stopping by on their migration south, red wing blackbirds, osprey, and many more. We even saw a deer. Apparently they swim back and forth between Poplar and nearby Coach Island which is privately owned. Once the island is totally completed (I think target date is 2014), all roads, buildings, equipment will be removed. The island will be available only to kyakers and canoers. Chris, our excellent tour guide, showed us terrapin nests. A professor from a midwestern university comes with his students and they mark the nests and put wire around and on top to keep the baby turtles safe when they hatch. Then they are collected and many of them are given to schools for the kids to raise that first year. All the babies have a tiny transmitter the size of a grain of rice put in a back leg so they can be tracked. In the spring the babies are brought back to Poplar Island by the kids and released. The most popular names the kids give the turtles in their care are Bubbles and Squirt, Chris told us. One school combines the turtle release with the school’s ukulele band who serenade the babies as they swim away. I’d love to see that. 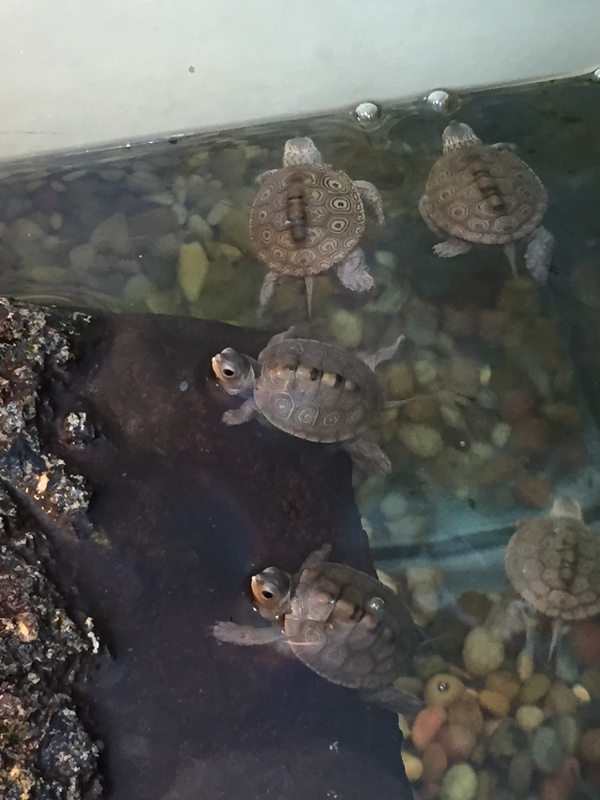 We got to see some of the baby terrapins in a tank. Fifty-one of those turtles were destined for the National Aquarium in Baltimore and would begin the first leg of their journey that evening. From the Aquarium they will be distributed to schools – as far as Western Maryland. What a great program for Poplar Island and Maryland school kids. A school teacher who was on the tour told me educators are concerned that many, many kids no longer play outdoors. So anything that let’s them know there are interesting things going on outside their video game worlds is an extremely good thing. 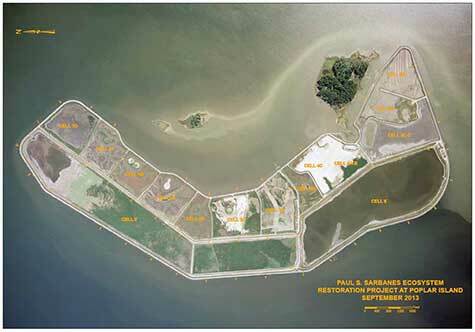 Diane French and I are going to organize a tour of Poplar Island in October for the Woman’s Club of St. Michaels. Fall will be a wonderful time to visit again. For my out-of -the-region readers…if you are ever in the area, call in advance to reserve a place on the boat. Tours run April 1 through October 31.